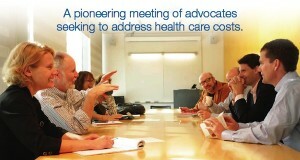 A pioneering meeting of advocates seeking to address healthcare costs. Consumers Union and the Robert Wood Johnson Foundation sponsored “Addressing Rising Healthcare Costs,” a conference held November 11-12, 2013, to help bridge the gap between researchers, policymakers and consumers. Attended by approximately 60 consumer advocates, the meeting was an opportunity for advocates to explore the key drivers of rising healthcare costs, understand the evidence for and against proposed solutions, and begin to develop a plan for deeper involvement in bringing down the healthcare cost trend. It is important to keep in mind that while reducing the growth in healthcare costs was the focus of the meeting, everyone in attendance agreed that it is only worthwhile to contain costs while maintaining—and preferably improving—the quality of care consumers receive.